Discover the latest solutions to move your business forward in manufacturing, distribution and supply chain equipment and systems at the Strategic Mobility Group Booth at ProMat 2017. ProMat 2017 will be held April 3-6 at Chicago?s McCormick Place. 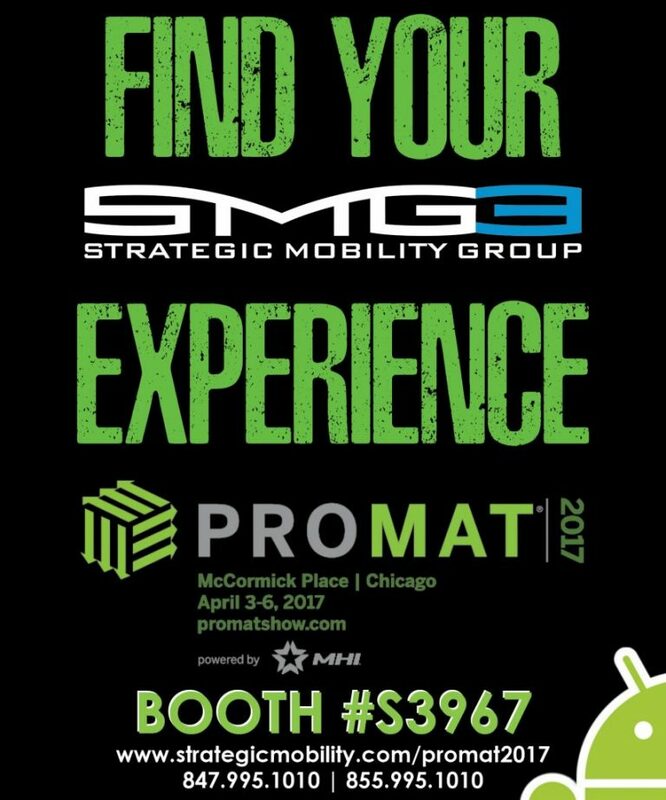 With Strategic Mobility Group (SMG3) at ProMat 2017, you will see us in person, in action, showing best professional solutions in the industry and learn more about the SMG3 Experience! The SMG3 Brand is much more than just a barcode scanner, printer or mobile computer, SMG3 is an experience with several services to offer. Whatever manufacturing and supply chain solutions you need to succeed, you?ll find them at ProMat 2017. Come see Strategic Mobility Group at Booth #S3967.